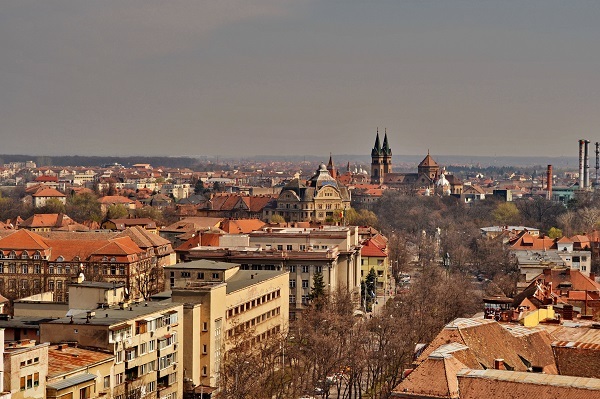 Timisoara – The Big Tour is an extension of The Classic Tour. After visiting the old city center (for 2,5 – hours), we’ll visit the old neighborhoods of the city: Fabric, Elisabetin, Iosefin. Fabric (Germ. Fabrickstadt, Hun. Gyárkülváros) is the former industrial neighborhood of the city. Initially there were manufactures here, later industry. This neighborhood was one of the first places in the world where the Industrial Revolution took place. Fabric was also the best place for going out at the end of 19th century and the beginning of 20th century. We’ll see here also the synagogue, the Millennium Church and the oldest beer factory in Romania. Initially a neighborhood for gardeners, Elisabetin (Germ. Elisabethstadt, Hun. Erzsébetváros) is today a neighborhood with beautiful houses, most of them built at the beginning of the 20th century. We can stop by Scart Loc Lejer to have a drink or to visit the Museum of the Communist Consumer – a small private museum containing household items from the communist era. Josefin (germ. Josephstadt, hun. Józsefkülváros) was one of the most important neighborhoods of the city. The train station, the port on Bega river and a big market place are here. Also the wealthy people from the city used to have vacation houses here, because this neighborhood was much greener. Many of the houses built here at the beginning of 20th century are representative for the secession style – we’ll see some of them. This tour is a walking and driving tour. Pick-up and drop-of at the hotel will be provided. Timisoara – The Big Tour is the tour which gives you a complete image of Timisoara city.